Live concert recording from the 2013 Delhi Classical Music Festival hosted by the Punjab Academy, Delhi. 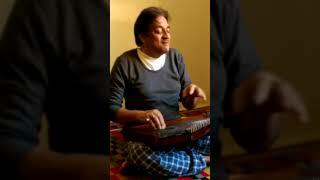 Khan sahib starts with a full rendition of Puriya Kalyan and follows with a soulful "Janeman Janeman", one his popular bandishes in Shahana. He ends with a pair of old Chhayanat and Bhopali jewels. In commemoration of the 70th Anniversary of India's Independence, Consulate General of India in collaboration with the American Academy of Indian Classical Music (AAICM) and Sunny Thakkar, presented Indian Classical music of the Kirana Gharana by Ustad Mashkoor Ali Khan on Friday, September 15th at the Consulate ballroom. In his introductory remarks, Prof. Akeel Bilgrami, Prof. of Philosophy at Columbia University & Vice-President of AAICM, spoke about his close personal connection to the Gharana and the musical significance of the Kirana Gharana and its musicians to the evolution of Indian classical music. For the concert, Ustad Mashkoor Ali Khan presented north Indian classical music specifically of the Kirana Gharana which is his family lineage. He started his performance with a chota khayal in Raga Puriya Dhanashree followed by a couple of compositions in Raga Shankara. He delighted the audience with a lilting chaiti (of the light classical tradition) in between, Yehi thaiyan motiya hairayee gaile Rama. 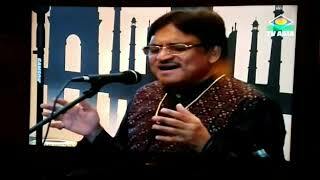 He also presented an uncommon Raga, Chandra Prabha which is a creation of a Kirana Gharana, Ustad Faiyaz Ahmed Khan. He concluded his performance with a composition in Raga Khamaj and a Taraana. He was accompanied by Dibyakar Chaterjee on tabla and Kedar Naphade on harmonium. The program was attended by large number of members of the cultural community in New York City and Tri-State area. AAICM hosted a very well attended event on the Music of the Kirana Gharana featuring a talk by Prof. Akeel Bilgrami and capped by a performance by Ustad Mashkoor Ali Khan. This was the first concert hosted under the new Arts and Culture initiative by the CGNY. We are also very grateful to Sunny Thakkar, our co-host, for his help. We had a full house with over 250 people signed up for the event. The Hon. Consul General Sandeep Chakravorty was in attendance and Khan sahib presented him with his two recently released CDs. The American Academy of Indian Classical Music (AAICM) is a registered 501(c)3 not-for-profit organization with the mission to promote the study and appreciation of Indian Classical Music in America. Its main objective is to provide an unsurpassed level of instruction in Indian Classical Music under the traditional Indian "Guru-Shishya" tradition. Other objectives include presenting concerts and seminars to help music lovers develop a greater understanding of the beauty and sublime nature of this ancient art form. AAICM's great strength owes to the fact that its regular instructors (gurus) are some of the most accomplished musicians from India, providing the most authentic form of education into this glorious tradition of music. The Academy focuses on vocal music currently under the able guidance of Ustad Mashkoor Ali Khan, a long time Guru at the ITC Sangeet Research Academy in Kolkata, and his senior disciple Sri Sandip Bhattacharjee, who provide instruction at all levels - for beginners as well as for advanced students with the privilege of one-on-one instruction from these masters. AAICM also regularly hosts concert performances by its gurus in the traditional, intimate environment of genuine chamber music, which is getting rarer in the auditorium culture of today. It also provides its students the opportunity to perform at recitals as well as in the concerts.